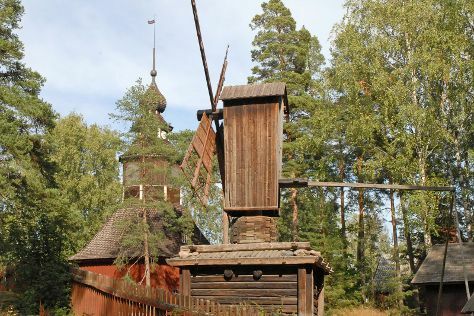 You'll discover tucked-away gems like Seurasaari Island and Open-Air Museum and Katajanokka. Museum-lovers will appreciate Sea Fortress Suomenlinna and Okra. You'll find plenty of places to visit near Helsinki: Sipoonkorven Kansallispuisto (in Vantaa), Arboretum Mustila (in Elimaki) and Linden Esplanade (in Kotka). Spend the 7th (Sun) exploring nature at Nuuksio National Park. Next up on the itinerary: take in the spiritual surroundings of Rock Church, browse the eclectic array of goods at Hakaniemi Market, pause for some serene contemplation at Helsinki Cathedral, and explore the world behind art at Kansallisgalleria. To see other places to visit, where to stay, reviews, and more tourist information, read Helsinki trip planner. If you are flying in from Germany, the closest major airport is Helsinki Vantaa Airport. In July, plan for daily highs up to 25°C, and evening lows to 15°C. Finish your sightseeing early on the 7th (Sun) to allow enough time to travel back home.